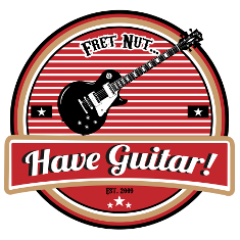 Reviews & Tests Archives - Fret nut... Have Guitar! Guitar review/test from Have Guitar! Have Guitar is happy to present a review of Green Guitars ST 60th Vintage Master Series, a classic stratocaster made like a 1965 strat. Green Guitars is located in Sweden and they offer a large variety of guitar models, all priced very competitive. This model looks great, plays very nice and sounds fantastic – I’m very happy to have been given the chance to present this review to you. I’ve had the Strat for about three weeks and I have given it as much time as I possibly could – partly to see what it can deliver but also due to the fact that I really liked playing it! In this video I’ve tried to give as much info about the Green Guitars Strat as I could, and I’ve picked out twelve Kemper profiles for the sound samples. I have chosen a bunch of different amplifier and arranged them in the video so it start with low gain increasing to high gain. If you just wanna hear the sound examples I have included an index that you can follow, see below. I would like to give Green Guitars a round of applause coupled with a Big Thanks for letting me do this review – it’s the first time I’ve been sponsored with a review item in a physical form. I really do appriciate that! And, I hope You like this video! If you do, please do subscribe to Have Guitar to support my video escapades! As always a very Big Thanks to you who subscribes already, you guys and girls rock! Here’s a crazy (bonus!) video series where Have Guitar demo’s ALL the presets in Line 6’s new VST plugin, Helix Native. This is part two of four, containing presets 33 – 64 of Helix Natives 128 presets. Here’s a crazy (bonus!) video series where Have Guitar demo’s ALL the presets in Line 6’s new VST plugin, Helix Native. This is part one of four, containing the 32 first presets of Helix Natives 128 presets.